I have been addicted to milk teas the past few weeks. 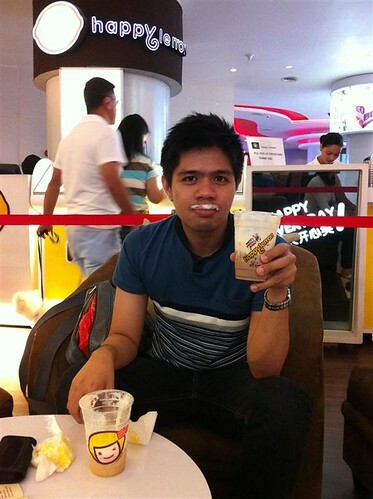 Whether it’s Serenitea, Chatime or Moonleaf, I should get a zip within a day. 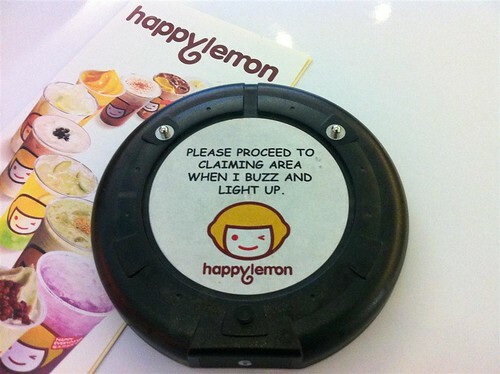 But one tea shop I really miss is Happy Lemon. 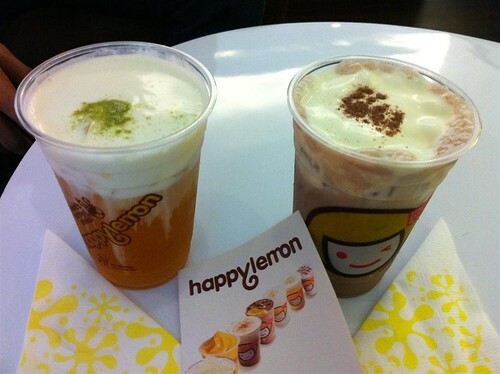 Happy Lemon is one of the first few tea shops I’ve tried after Serenitea. Ironically, what made them famous is not really their tea but their rock salt and cheese beverages. First we tried is Green Tea with Rock Salt and Cheese. If you’re a fan of authentic green tea, you will love this. Unfortunately, I’m not hehe. 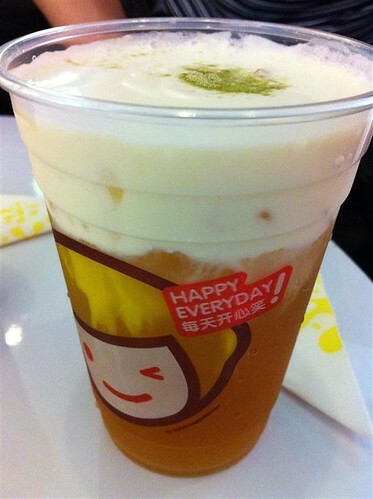 On the other hand, the rock salt and cheese froth at the top is what made me rave for Happy Lemon. We also had Cocoa with Rock Salt and Cheese. It’s basically a chocolate beverage. 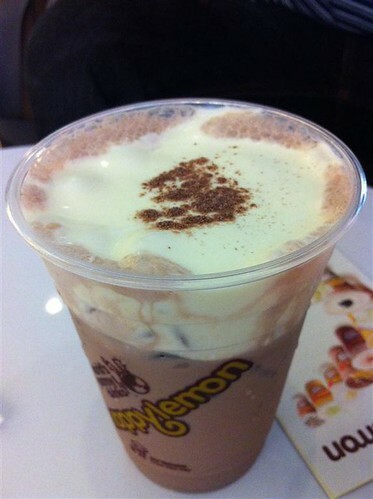 But again, it’s the rock salt and cheese froth that made this drink special and one of Happy Lemon’s best sellers. I love the froth so much that I requested for an extra layer of it for a fee of P25 (used to be just P15). The rock salt and cheese beverages are supposed to be drunk without a straw so that the froth goes with the drink when you zip it. Expect to have some froth “leftover” on top of you lips – and yes, you are supposed to lick it! I think this is the best drink they offer, and it's my favorite as well.